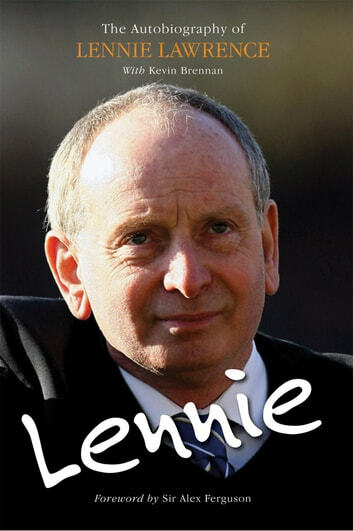 Lennie - The Autobiography of Lennie Lawrence is the story of one of football's most long-serving and well liked characters. In a career spanning over 30 years "Lennie" is one of football's elite belonging to a unique group of managers including Sir Alex Ferguson, Brian Clough and most recently Steve Coppell who have managed over a 1000 league matches in their career. Having never played League football he took his first steps in football management with Plymouth Argyle as Caretaker manager moving onto Lincoln City and then taking the pivotal job in his career as Reserve Manager at Charlton Athletic. He was promoted to the No1 job in 1982 and over the next nine years he became the manager of a club who returned to the top flight after an absence of 29 years and with limited resources managed to keep them there for a further 4 years. Charlton almost went out of business in 1984 and "Lennie" relives the rollercoaster ride of his time at Charlton looking at both the highs and the lows. He moved onto Middlesbrough and took them up to the Premier League in only his second season but after relegation he left the club after helping to recruit his replacement. With further forays at Grimsby Town, Bradford City and Luton Town he moved to Cardiff City and took them up to the Championship before he left the club. In recent years he has become recognised as part of one of the few Director of Football/Managerial partnerships that appears to be working at Bristol Rovers. Working with young manager Paul Trollope the pair have steered the club to promotion to the 1st Division and continue to develop their partnership. A fantastic record over his thirty years in management he has seen many other managers and coaches come and go and this book will chart his personal journey in a career full of great highs.